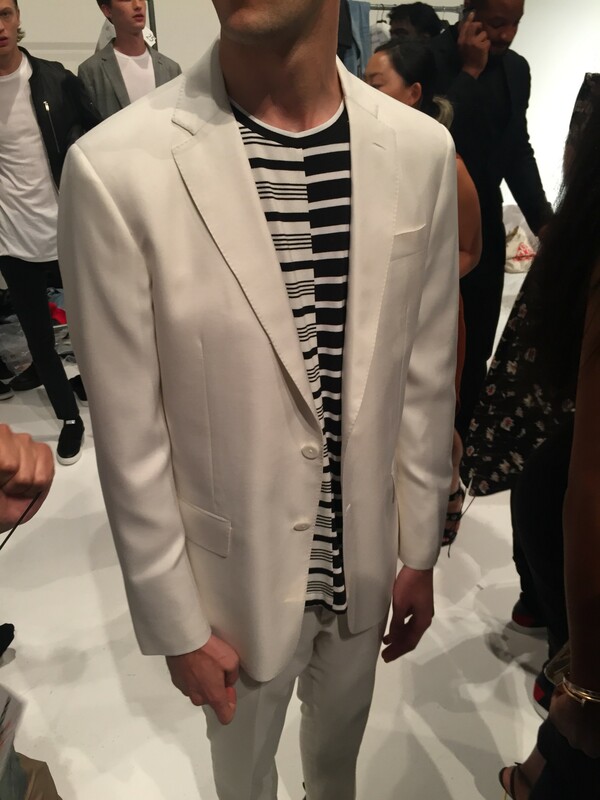 Ovadia & Sons SS16. | #StyleHeirs. [NEW YORK CITY.] The gods have found favour in us all and have blessed us with the twins from Ovadia & Sons – a godsend for menswear, really. Naturally I am a sucker for jackets and outerwear and these guys have the celestial eyes to create suitable garments for an heir. Yes, from Spring well into the late summer days I still wear my long sleeved jackets and pullovers. Perhaps that is why I’m so fond of Shimon and Ariel’s designs. Generally, their pieces were subtle yet aroused much stimulation to the eyes of the beholder. It was like that time at a restaurant when the food looks too perfect, to even eat it would be a sin. The use of lighter hues were expected however, the darker shades of black with bright red and florals were out of the norm for Spring yet it didn’t bother me much. A revival for the 90’s denim was apparent in some of their looks, especially the ripped holes in the knee mark. 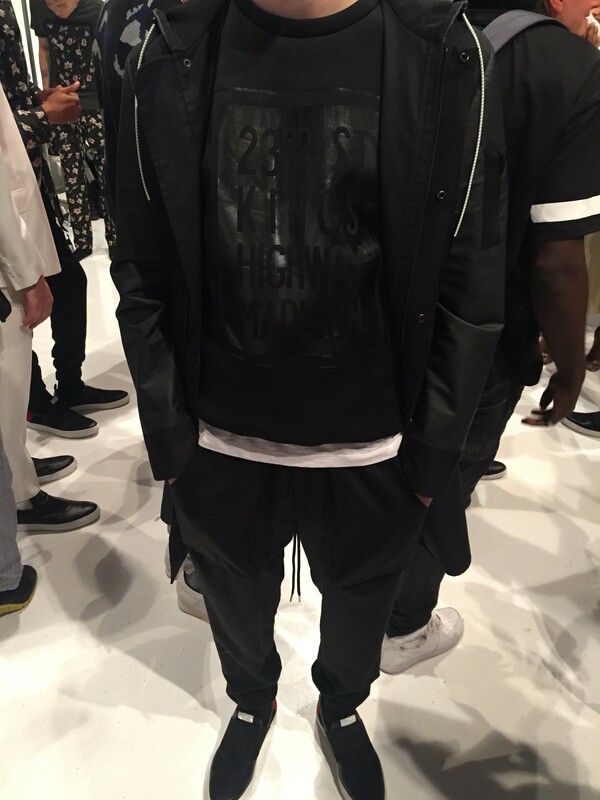 I find it quite nostalgic and look forward to the Spring time and hope that men across the nation will adapt to the esthetics of Ovadia & Sons taste of the New Yorkers Street-life. Look#16. 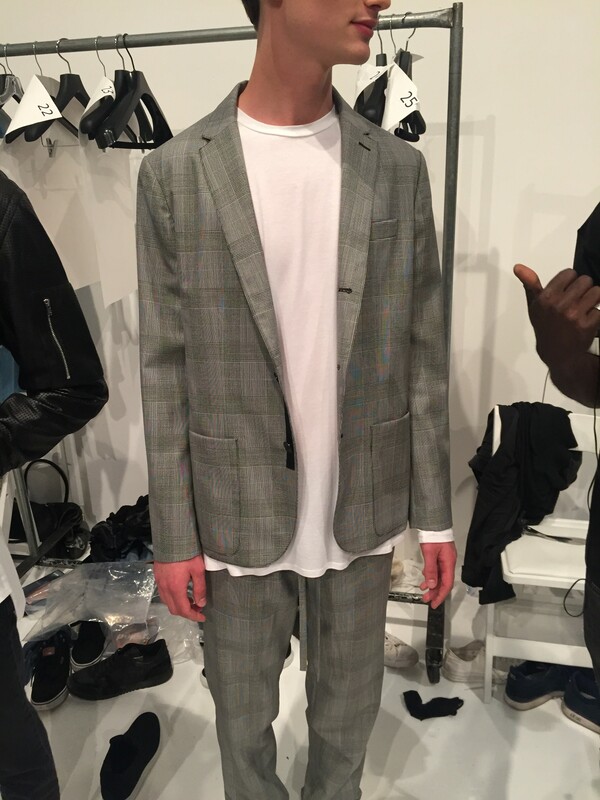 Silk Suit, Bamboo Cotton T.
Look #25. 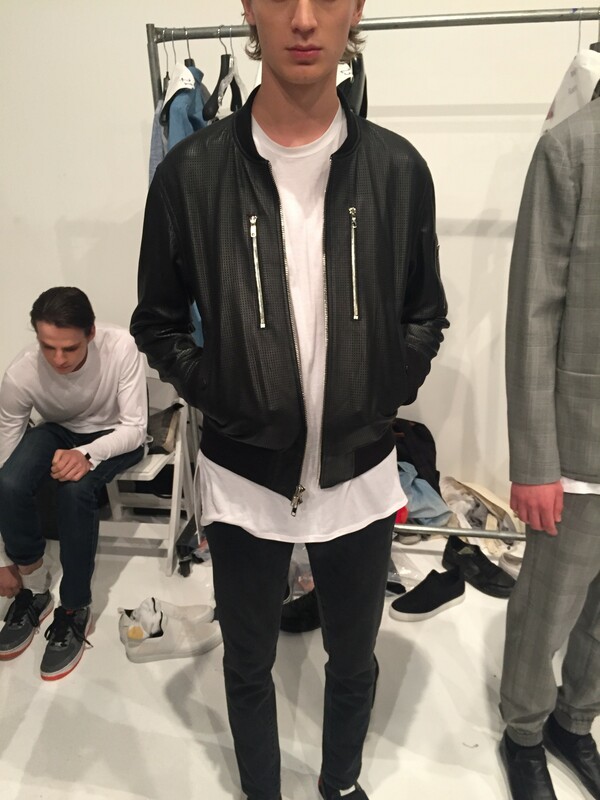 Calfskin Perforated Bomber, Bamboo Cotton T, Washed Denim. Look #23. Mohair Wool Jacket, Bamboo Cotton T, Mohair Wool Lounge Pant. Look #10. Nylon Cotton Anorak, Spacer Crewneck, Linen T, Tencel Lounge Pant.